Lawyers across Australia will celebrate National Pro Bono Day on Tuesday, the second day of National Law Week. “This is a day to celebrate the recognition by Australian lawyers of their professional responsibility to help others who wouldn’t otherwise get access to legal assistance, and to tell the stories about the clients they have helped. We applaud the lawyers who make a real difference by fighting for justice and giving back to their communities”, said John Corker, CEO of the Australian Pro Bono Centre. In Queensland, lawyers will walk at 7am in Brisbane, the Gold Coast, Toowoomba, Mackay, Townsville, Cairns and the Sunshine Coast to raise funds for the Queensland Public Interest Law Clearing House. In South Australia, lawyers will Walk for Justice at 7.30 am in Adelaide to raise funds for pro bono clearing house, JusticeNet SA. In Western Australia the inaugural Law Access Walk for Justice will take place at 7.30 am on the banks of the Swan River to celebrate the vital pro bono work of the profession and to raise funds for the new Law Access Pro Bono Referral Service. In Victoria, lawyers will gather at 8am in the forecourt of the County Court of Victoria in a “Legal Aid Matters” rally to highlight why supporting Legal Aid matters. Many other activities planned for Law Week can be found through the National Law Week website. “Pro bono service provision is motivated by a lawyer’s sense of professional responsibility. It’s an ethos of which the legal profession can be truly proud. It’s a good story about lawyers for once and it needs to be told”, said Corker. Accurate national data as to the extent of pro bono legal work done by Australian lawyers does not exist but an insight can be gained by looking at the results of the National Law Firm Pro Bono Survey of firms with more than 50 lawyers. The most recent survey (2014) showed 41 law firms performing 374,942 hours of pro bono legal work at an average of 31.9 hours per lawyer per year. “Pro bono can never be a substitute for adequate funding of the legal assistance sector by Government and makes a modest contribution to the whole sector but it’s an important one, particularly when lawyers are willing to take on unpopular matters where justice is truly at stake, said Corker. “Pro bono contributions vary widely amongst parts of the profession and geographically. Individual volunteering by lawyers particularly at community legal centres is substantial, and the pro bono work taken on by barristers to fight for justice in individual cases is also considerable. Law firms often work in partnership with community organisations, particularly community legal centres. Therefore community legal centres, as front line agencies, are a vital part of the network through which much pro bono legal work is undertaken”, said Corker. 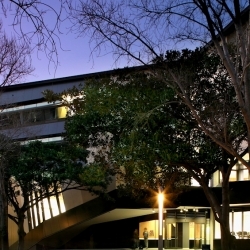 The Australian Pro Bono Centre is an independent centre of expertise that aims to grow the capacity of the Australian legal profession to provide pro bono legal services that are focused on increasing access to justice for socially disadvantaged and/or marginalised persons, and furthering the public interest.